In the morning on July 20th, Public Relations Board of Ninh Kiều district opens course to cultivate knowledge on public relations 2016, with the aim of preparing, updating and improving skills, renewing modes of public mobilization for officials and staffs, who work in public relations at all levels. 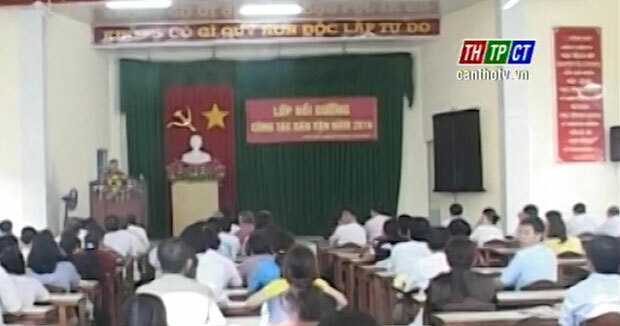 260 learners are officials, party members who are responsible for public security task at party grassroots under Ninh Kiều district. They exchange chapters on theory about the public relations, viewpoint of the party in leading, implementation, renewal of public relations of the government and in religious followers…in order to improve knowledge, how to collect people to carry out guidelines, policies of the Party and the State./.